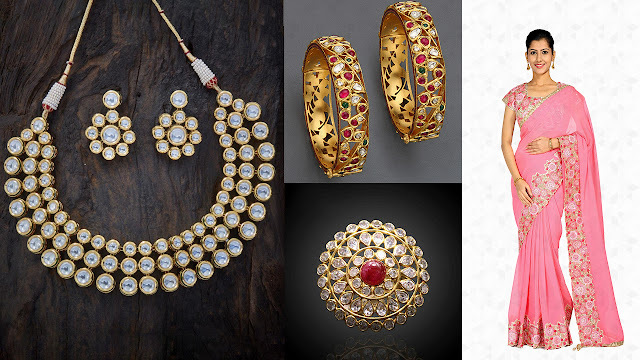 Jewellery should be worn according to the occasion and look of the saree. 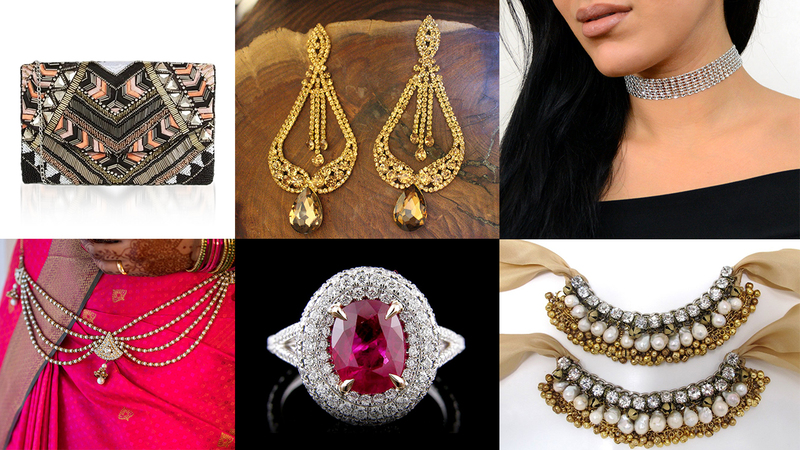 Choosing the right set of accessories can shape the perception of the wearer. The success of wearing a saree boils down to attention to detail, a bit of know-how and adherence to etiquette. The wearer will come across as intelligent! Plain cotton sarees look best with simple studs, or a light dangling earring, a thin gold chain and a couple of gold bangles to complete the look. 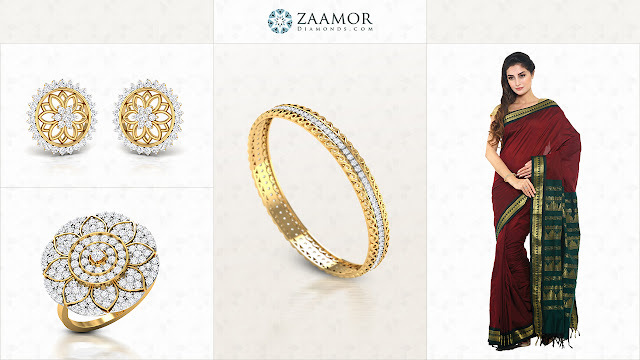 A saree with silver zari looks best with silver or diamond jewellery while a saree with gold work teams up well with gold jewellery. 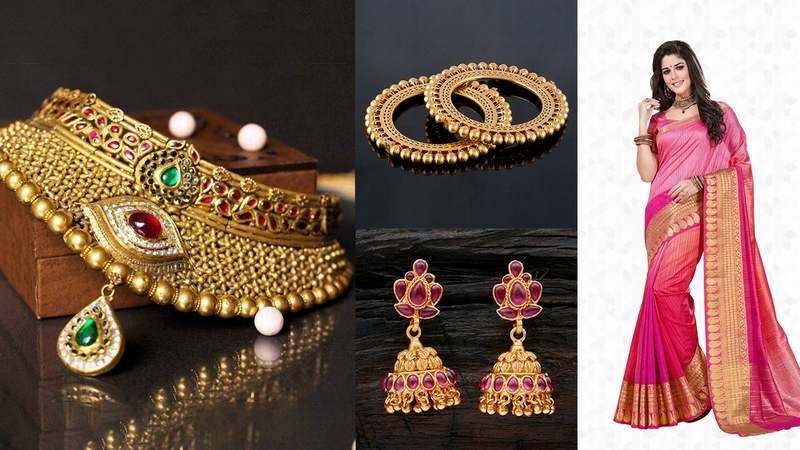 Kundan jewellery matches up well with chiffon sarees and it will make you look grandeur in any occasion. 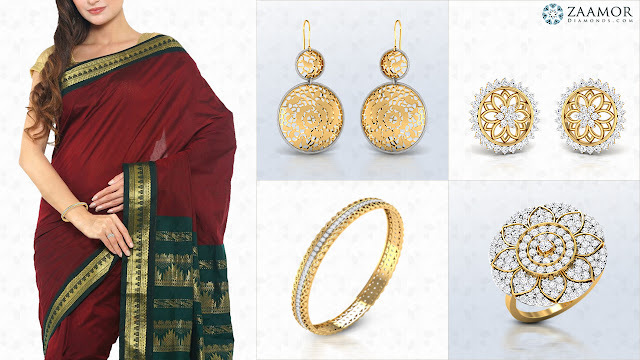 South Indian coin jewellery and temple jewellery works well with Silk sarees. For parties or weddings, the best accessories would be an embroidered bag embellished with sequins, thread work or beads, chandelier earrings, choker necklace, a large cocktail ring, bangles, hip chain (kamarbandh) and anklets. For work-day occasions, simple accessories like delicate jewellery (subtle earrings, thin bracelet, long sleek chains with small pendants), classic watch, large satchel or shoulder bag and open-toe heels or chappals work best. This will accentuate your looks and make you look younger!